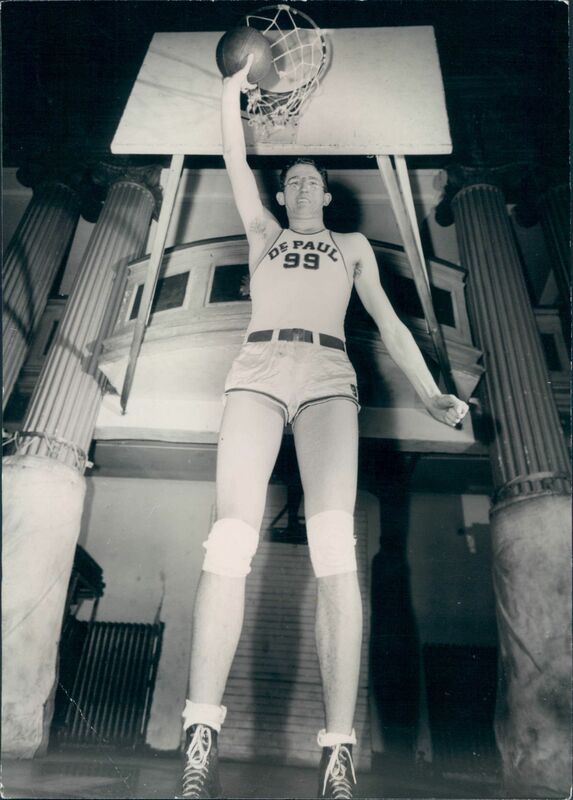 Before he performed head and shoulders above his pro basketball counterparts en route to Hall of Fame immortality, George Mikan was a student athlete at Chicago's De Paul University. The Minneapolis Lakers star is shown towering above the camera in this vintage photograph. Designated as a Type 1 photo, this image was developed directly from the original photographer's negative within a small time span of the event. 2 years is the accepted standard, but may vary slightly in some instances. A very high percentage of these images are one of a kind and were not included in other collections, thus making them unique. Images that are clearly stamped or can be dated by identifying characteristics present on the image will be labeled with the exact date. In cases where the image can be dated by an approximate time range, it will be designated as a circa. Dating was determined by conducting extensive research on each image. With the aid of the MEARS database, which contains over 500,000 images, our staff was able to identify the year the subject was photographed. In cases where the date was not clearly marked, patches, jersey styles, stadium signage, cap design, and other identifying traits were analyzed and used to approximate the date. Photographers included in the collection include Charles Conlon, George Burke, George Brace, William C. Greene, Alex P. Silverberg, and George Dorrill. Some are identified; many are not but were provided by these world class photographers. Unlike standard wire photos, these images were often hand developed by the photographer and sent to the The Sporting News magazine. Therefore, the result is an actual first generation Type 1 photographers print -again, not be confused with the more commonly found wire photo image. This is the largest collection to enter the market of exclusive Type 1 Photo Prints. News service photos are also included, and in those instances, are identified as such by their respective stampings. Acme Wire Photo, Associated Press, International News, and United Press have provided images to the archives. Reverse images are included for identification purposes. 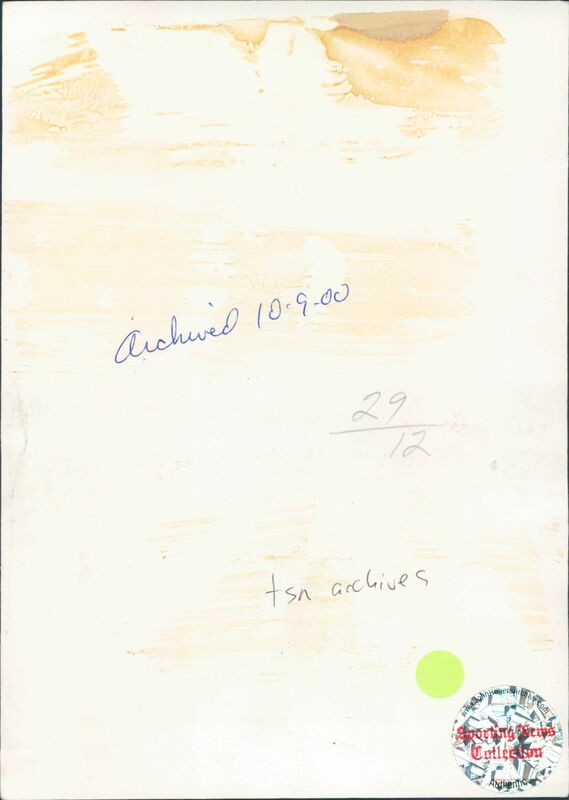 As part of the production process for the newspaper, images may show production notes, photographer's stamps, date codes, and other markings associated with the production of the Sporting News newspaper. In all cases, each selected image is of superior quality, subject matter, clarity, contrast and condition. Each image was archived by the Sporting News and includes the official Sporting News hologram, assuring its origin and provenance. Additional MEARS LOA included with each lot. Auction closed on Sunday, October 31, 2010.